Sister Paula, our eighth grade teacher at Holy Cross Elementary School in South Los Angeles informed us one morning in 1944 that Fridays would be devoted to public speaking. Which meant that each of us, standing in front of the class, had to recite something we had memorized. She said we could recite anything we wanted. Most boys opted to tell jokes. When my name was called, I stifled an inner groan (I was very shy), walked to the front of the class, and began to speak, “Four score and seven years ago, our fathers brought forth on this continent a new nation, conceived in liberty and dedicated to the proposition that all men are created equal …” Yes, I recited the Gettysburg Address. Presumably, I chose it for the same reason any teacher would have wanted me to: I was unconsciously reaffirming my Americanness. As my own Spanish atrophied from a lack of use, too many Spanish speakers made my life difficult with insults and demeaning comments about my inability to speak their—“our” —language. I also loved reading the classic tales of King Arthur and his Knights of the Round Table; about the travels of Ulysses, including his dangerous encounters with the waters between Scylla and Charybdis; and about the cultural and linguistic divide in England between Englishmen of Anglo-Saxon and Norman heritage in Sir Walter Scott’s Ivanhoe. I liked novels of chivalry. A lot. What’s less understandable is that I also read Oliver Goldsmith’s The Vicar of Wakefield. I am still waiting to meet someone else who has done so. If you’re thinking all of this made me something of a nerd, I’ll plead guilty, even as I hasten to add that I was also interested in baseball stats. But you haven’t heard the strangest part: My first language had not been English; it was Spanish. My earliest childhood memories are of peaceful Saturday afternoons spent at our house in South Los Angeles with my maternal grandfather, Prudenciano Guillén. We listened together to a children’s program that was broadcast in Spanish and that featured a theme song about a little train, El Trenecito. Grandfather was from the town of Jiménez, in the northern Mexican state of Chihuahua, but left with his family (including our mother) when the chaos and violence of the Mexican Revolution of 1910 made life there impossible. Grandfather died in 1933. Mother, who decided family issues, adopted English as our home language after a hospital nurse was unable to communicate with my brother Raul, who spoke only Spanish. I obviously took her mandate to heart. For years after that, as my own Spanish atrophied from a lack of use, too many Spanish speakers made my life difficult with insults and demeaning comments about my inability to speak their—“our” —language. I came to feel besieged and tried to avoid contact with them and with the language itself. But I could not avoid relatives who joined the chorus. “¡Ay! Hijo, qué vergüenza! ¿Por qué no hablas español?” “What a shame, child! Why don’t you speak Spanish?“ Those were trying years. I reenrolled at UCLA in 1953. Financial pressures had forced my withdrawal in 1948. I worked for three years and was drafted into the Army during the Korean War. I had learned that I was no engineer and now needed to declare a new major. The Veterans’ Administration gave me a battery of tests whose results suggested politics as a career choice. No way. I was on my own and asked myself what I really wanted to study. I decided to major in Spanish, a decision I never regretted. I began in a Spanish I class, and found myself aided immensely by my Latin experience (yes, this nerd had appreciated reading Julius Caesar not only in Shakespeare, but in the Emperor’s native language as well). The grammar of the Romance language, and the practice of memorizing new vocabulary, came second nature to me. 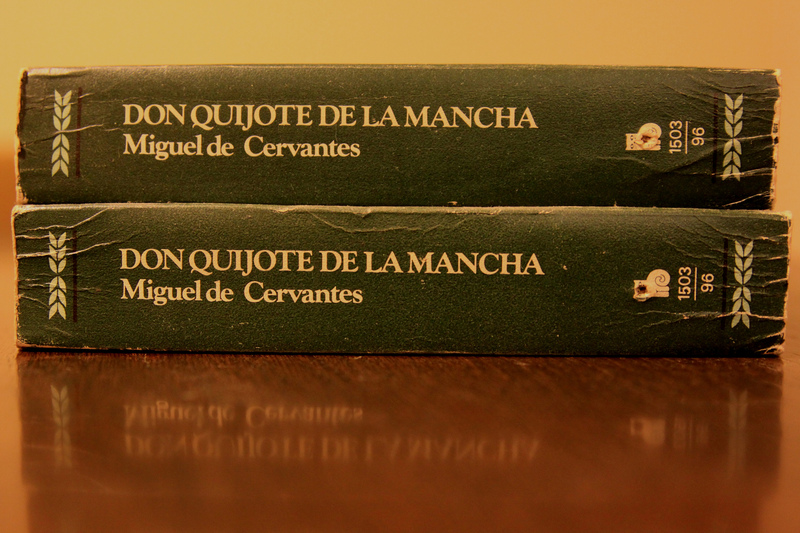 I read Cervantes’ El Ingenioso Hidalgo Don Quixote de la Mancha in a class devoted to that novel. I’ve read it twice more since. I took a course on Spain’s Golden Age, reading plays by Lope de Vega and Calderón de la Barca, among others, and courses that included the works of Benito Pérez Galdós, the poet Gustavo Adolfo Bécquer, Pedro Antonio de Alarcón, and one of my favorites, Miguel de Unamuno. Here was another canon for me to absorb and internalize, and incorporate into my identity, without eroding the value of the great English books I had discovered before. Too often these days we denigrate the value of a shared core of knowledge binding all Americans, in favor of a more balkanized notion that we should all only read the works of our own. That is unfortunate. 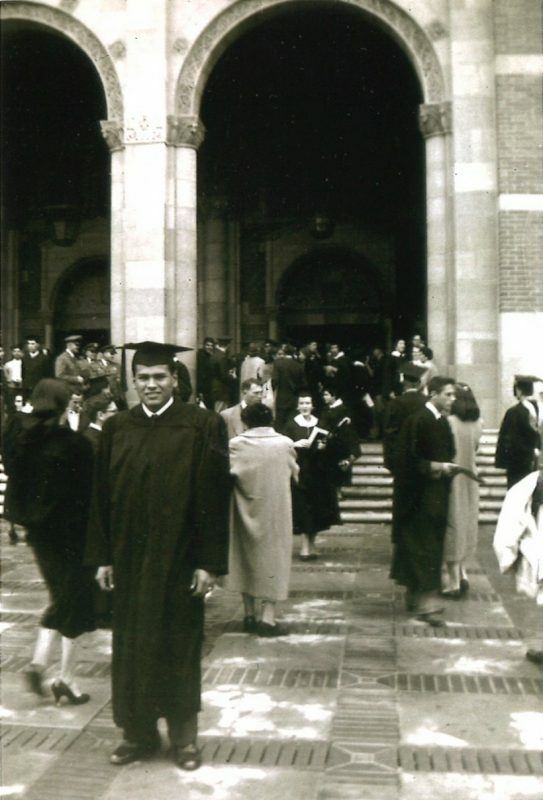 Upon graduating from UCLA, I began teaching Spanish at Huntington Park High School in 1957, and working toward my master’s degree. Then, fascinated by the law, I attended Loyola University Law School night school, while teaching my classes during the day. I would go on to teach 35 of my total of 41 years in the classroom at Los Angeles Valley College, leading classes in Spanish in the daytime and law in the evening. They were fulfilling years, as my once solitary passion for learning became a passion for helping others to learn. And by learning Spanish, and introducing students to the great accomplishments of the language and its culture, I was connecting with the land my grandfather had fled a half-century earlier and, in fact, with every place where the language of Cervantes is spoken. Years later, in conversation with a chemistry professor at the University of Mexico, I voiced some of my concerns on the question of my identity. He said, “Manuel, tú eres tan mexicano como yo.” “You are as Mexican as I am.” I appreciated the graciousness of the thought, but what he said could not possibly have been true. I now feel deeply connected to my Mexican ancestry, without being fully Mexican, and without this rich cultural inheritance detracting from my deeply satisfying sense of rootedness here. And what that really makes me is pretty American. Manuel H. Rodriguez earned a B.A and an M.A. from UCLA as well as a J.D. from Loyola Law School. He taught in L.A. schools for 41 years, 35 of them at Los Angeles Valley College. He is the father of three sons, including Zócalo’s publisher and editor-in-chief. 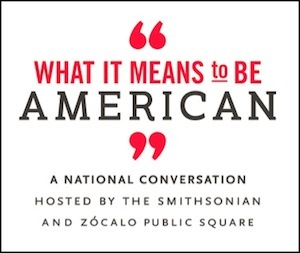 This essay is part of What It Means to Be American, a partnership of the Smithsonian’s National Museum of American History and Zócalo Public Square. *Lead photo courtesy of Francisco Martins. Interior photo courtesy of Manuel H. Rodriguez.